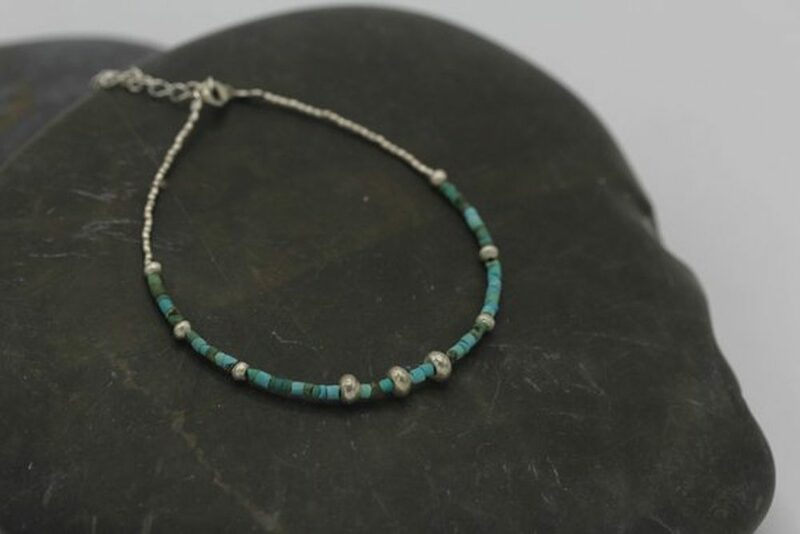 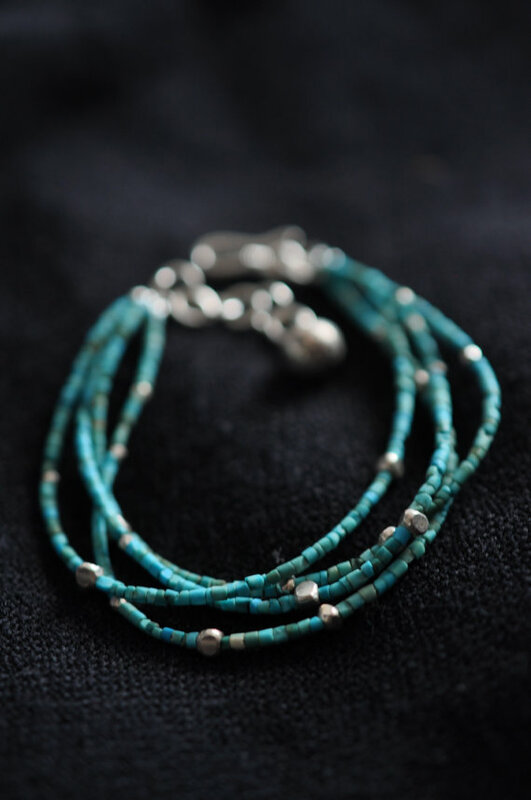 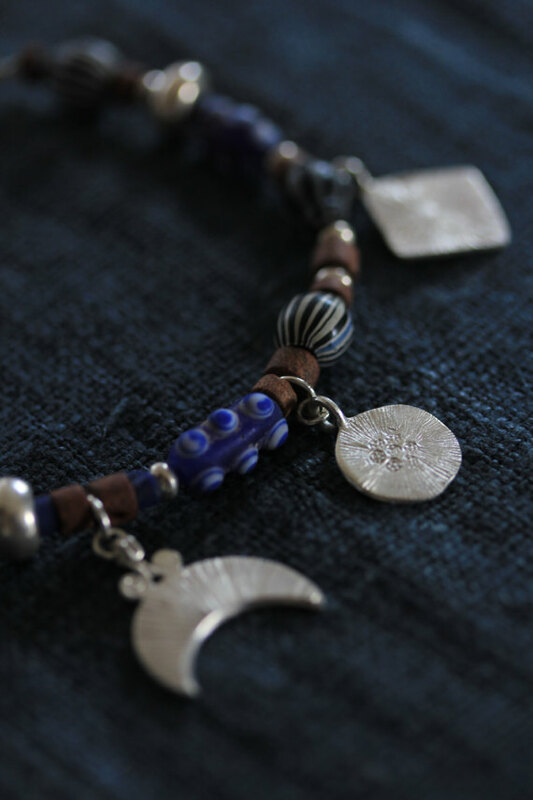 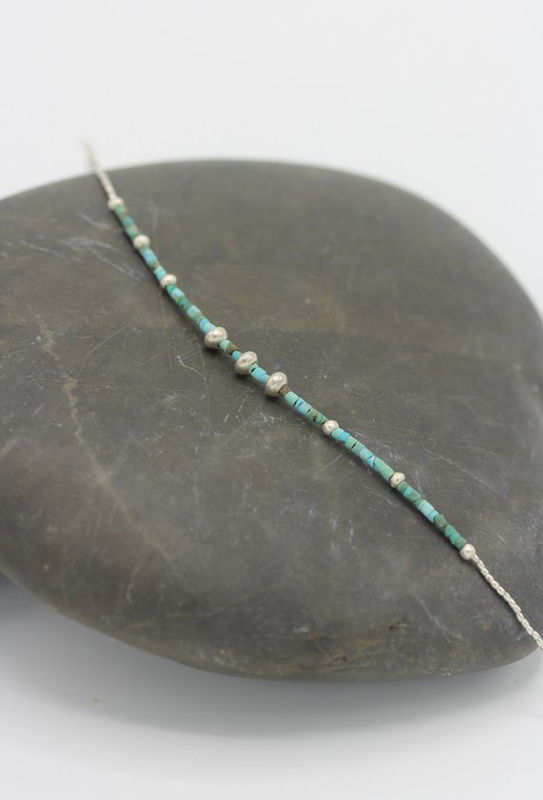 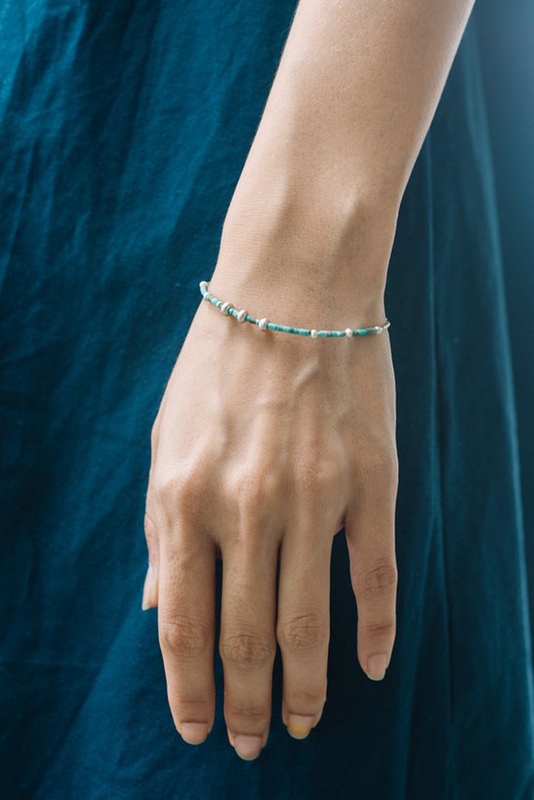 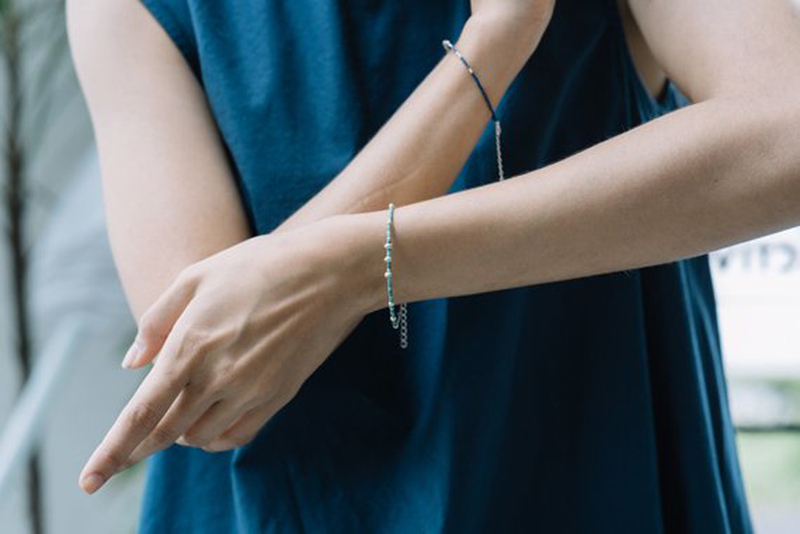 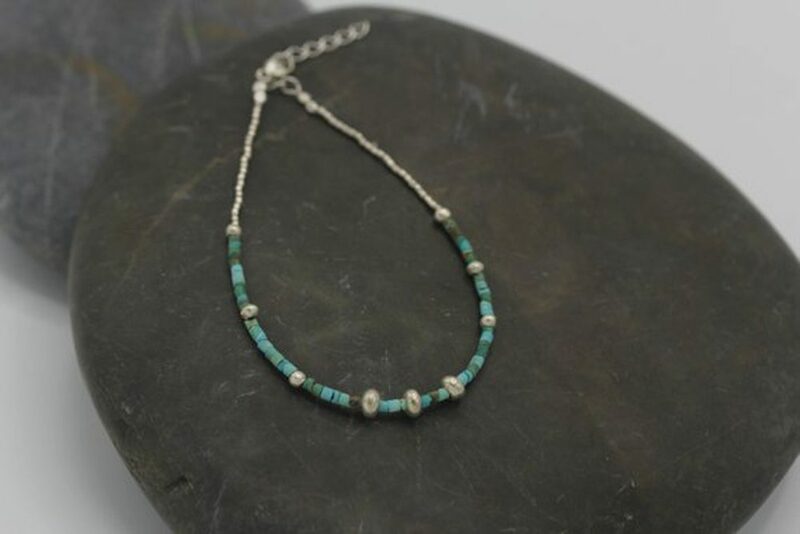 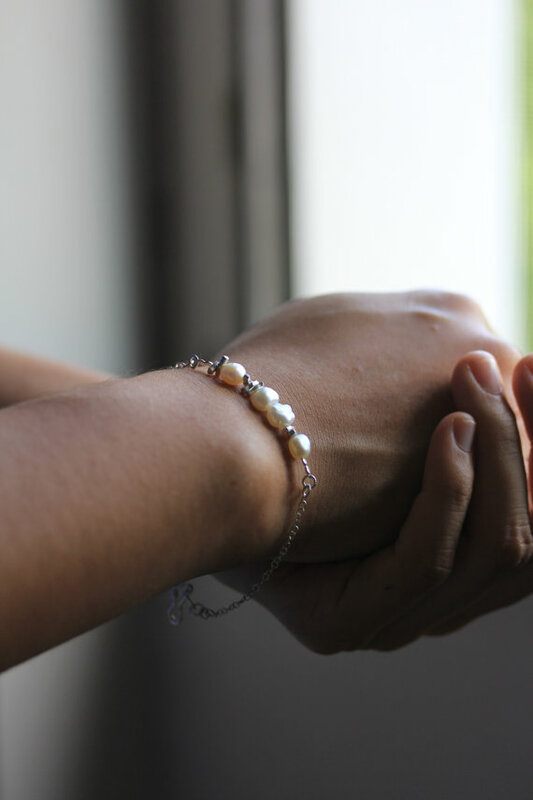 The bracelet is composed of small pieces of bright blue and brownish colour natural turquoise and handmade silver pieces; it closes with a round spring ring and there is a chain that allows for adjusted length. 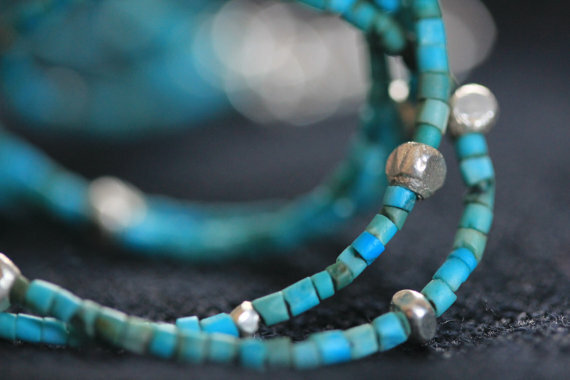 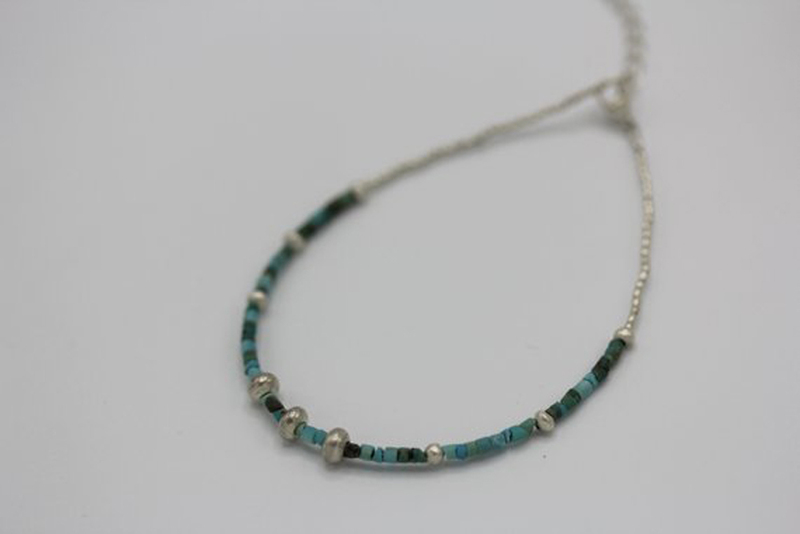 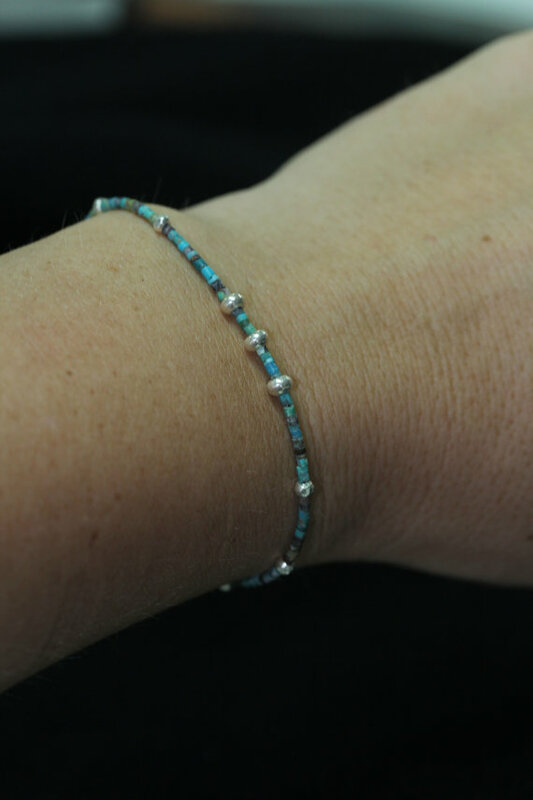 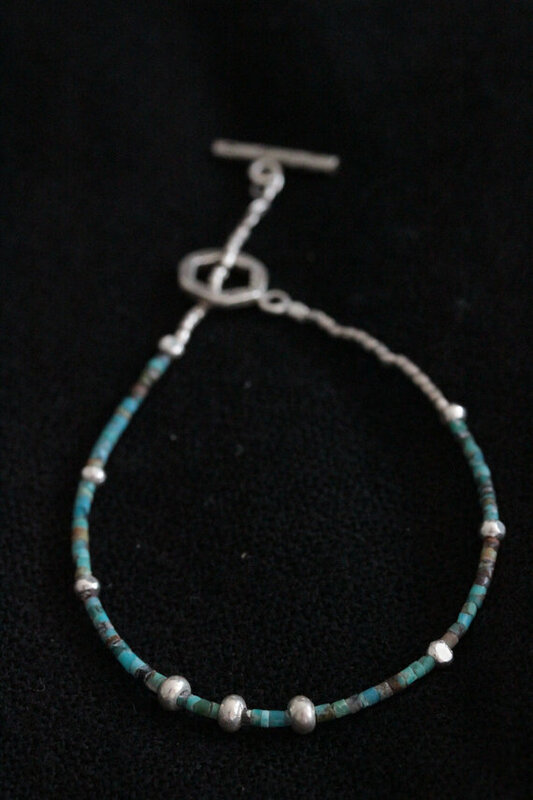 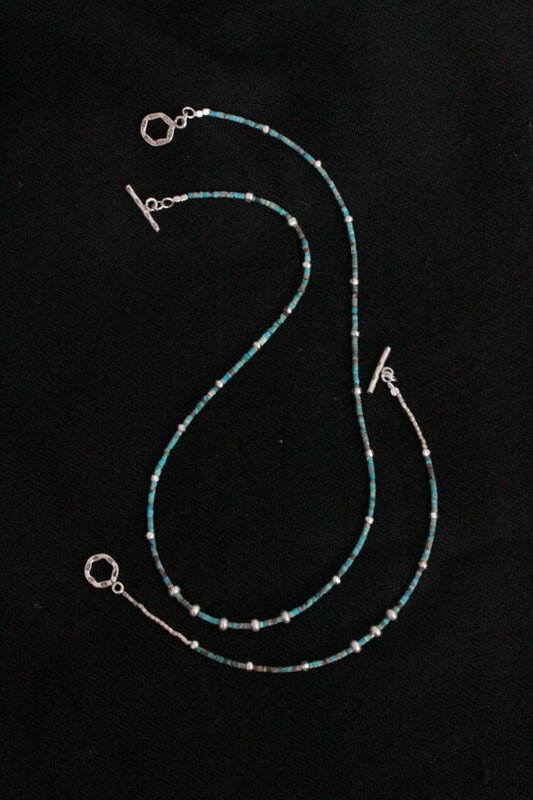 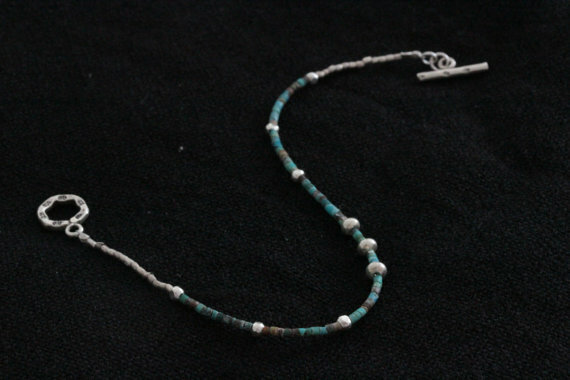 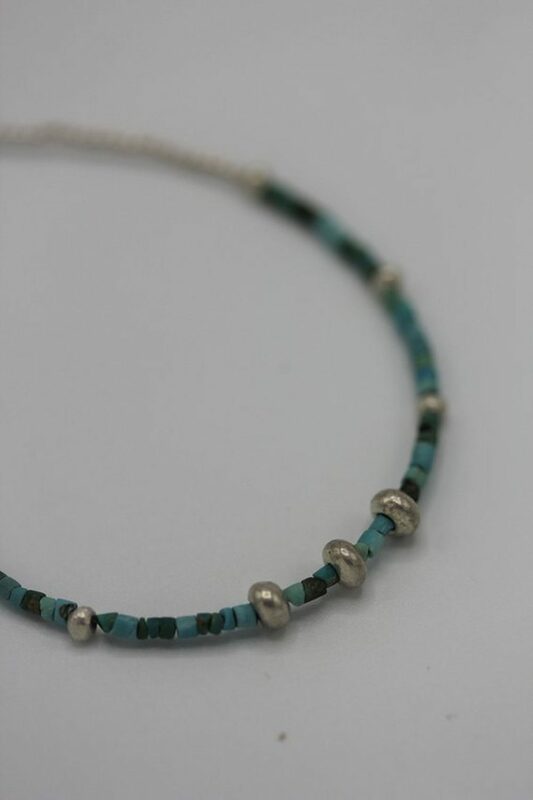 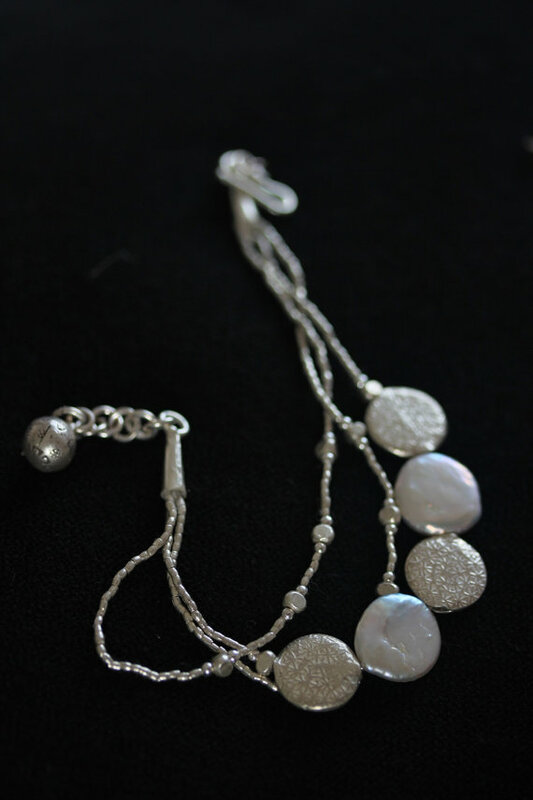 The bracelet can be combined with a matching turquoise and silver beads necklace. 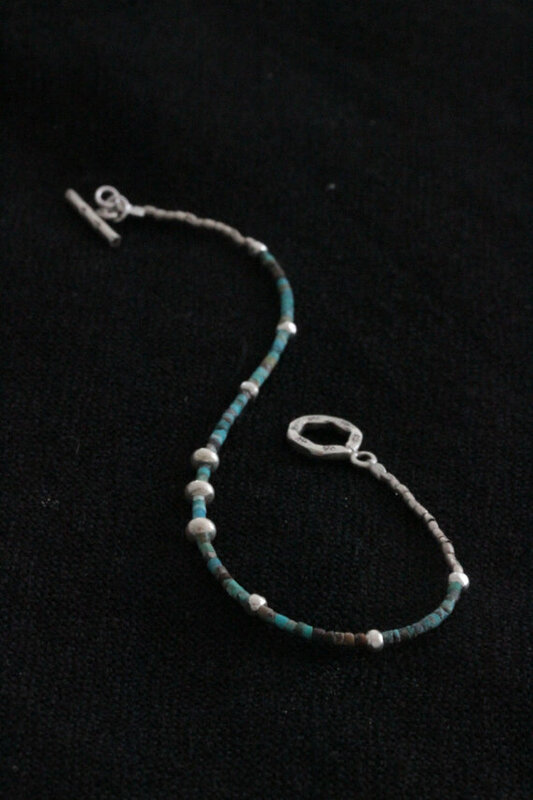 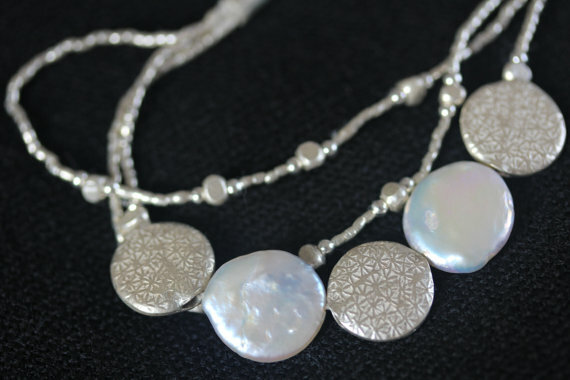 It is also really nice in combination with other tiny bracelets.